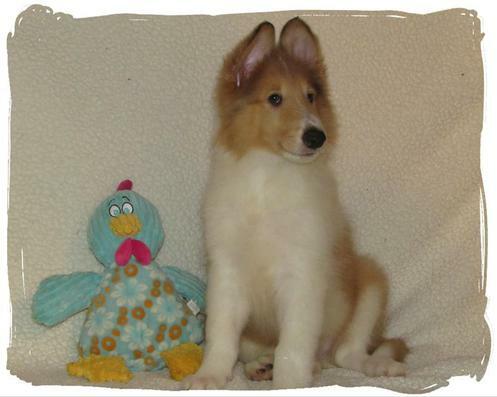 We are breeders of high quality Collies, specializing in health, beauty, and temperament. 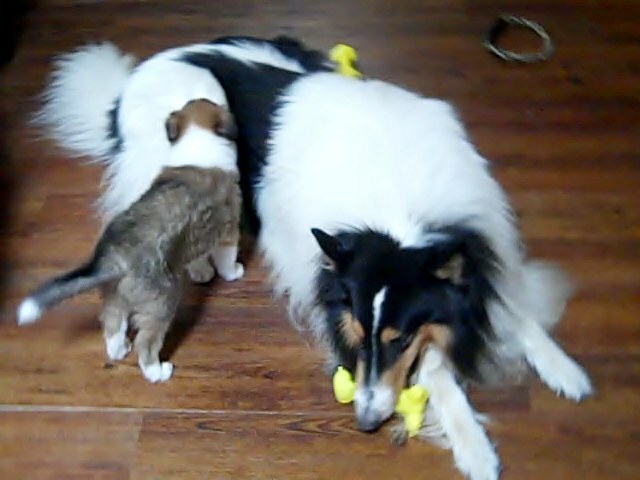 We strive to place our Collie puppies in the perfect home. Our male, Shadow, earned his CGC certificate at 8 months old. Sadly, he passed away Nov, 2015. Bobbie, Shadow's son, earned his CGC at 7 months of age! Bobbie is retired and enjoying the good life. 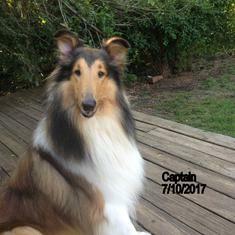 Captain is a wonderful boy and we are so proud of him. He is a normal eyed carrier, sable and white! We are looking forward to a litter sired by Captain this Spring. We are proud to introduce our newest male, Reggie! He is also a normal eyed carrier, tri. We are looking forward to a litter sired by Reggie this Summer. 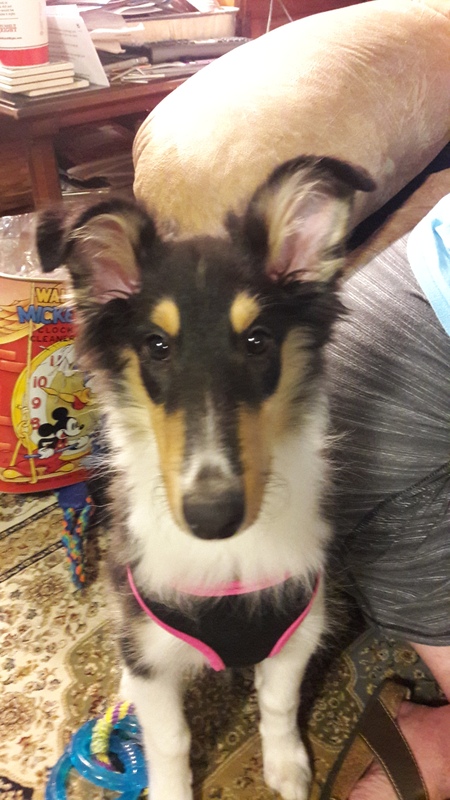 In our quest to find Captain, we discovered that some breeders are misrepresenting their Collie puppies by saying they are non carriers for CEA and PRA. They had no documentation to back up their claims and were charging ridiculous prices! So, please "Buyer beware" of these practices. 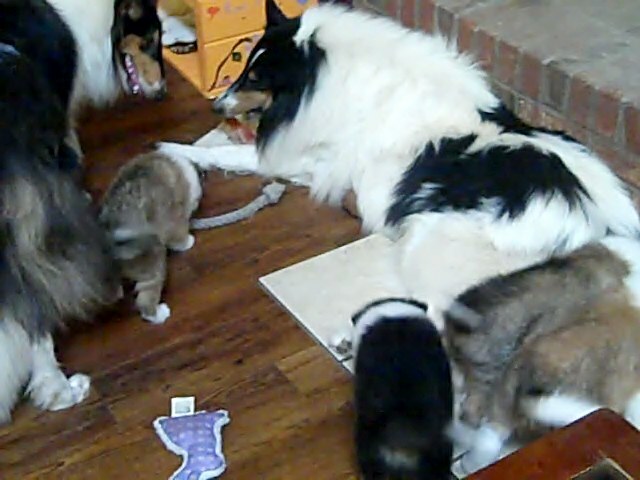 At ROLLINGWOOD COLLIES, all our dogs are raised in our home and given constant love, socialization and training. Our Collies are registered AKC. Please explore this site to learn more. 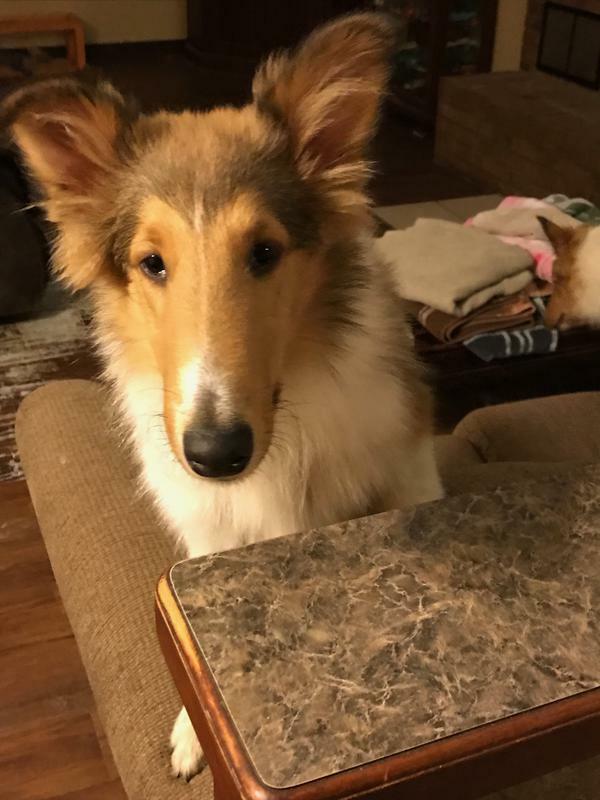 Call 580-230-9293 or email us at [email protected] to learn more about our wonderful Collies. Thank you for visiting us. Our Girls Our Boys Puppies! 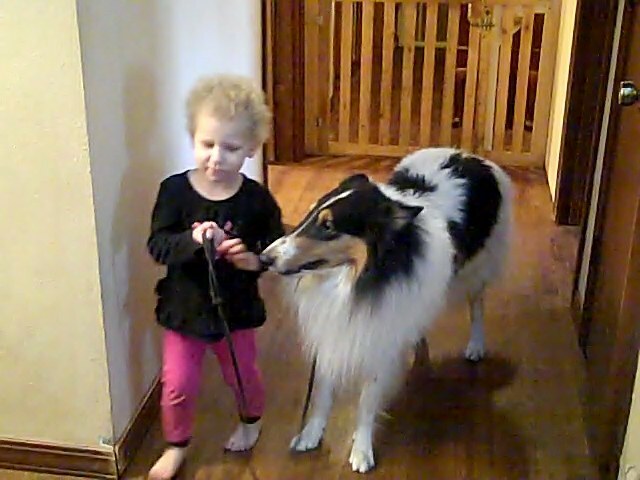 We raise Collies for the love of the breed. Our girls give us beautiful, healthy puppies once a year. This way, David and I are able to enjoy each and every puppy. Because we have only a few litters a year, we encourage anyone interested in one of our dogs, to contact us and be placed on a waiting list. 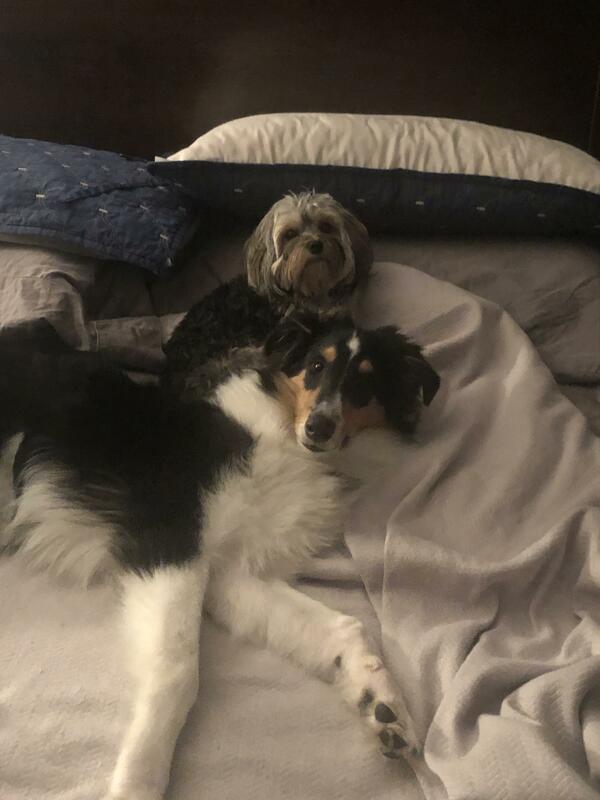 It has been brought to our attention that some breeders are sending their perspective puppy owners to our site and inferring that they are affiliated with us here at Rollingwood Collies. David and I are the sole owners of our Collies and are not affiliated with any other dog breeder! If, in the future this changes we will announce it here. What you can expect when you buy a Rollingwood Collie. 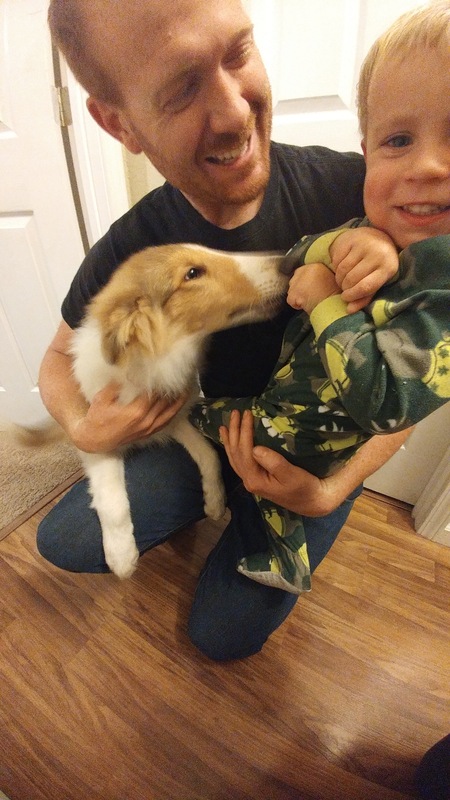 We strive to raise the best Collies around! Our dogs and puppies are very sweet, loving, highly intelligent and beautiful. This breeding line has produced Therapy dogs, Service dogs, working cattle dogs, and above all else, good loyal companions! We offer our puppies at reasonable prices for pets and companions. 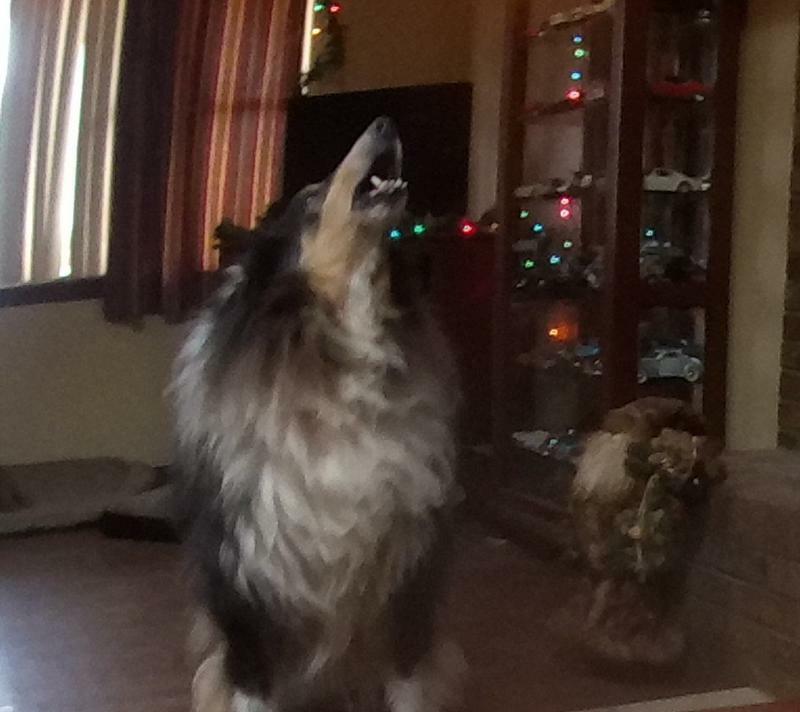 We all want the same thing: healthy hearts, thyroids, seizure free, no digestive disorders, no skin problems, good eyes, no hip, hock or spinal problems, great temperament, high intelligence, and a long healthy life for our Collies. Monday, Nov. 30, 2015 Shadow passed away. We are heartbroken. Through our tears we have decided to celebrate his life in pictures. Shadowman, you are forever in our hearts! We shall miss you. Duke enjoying his last Christmas. Jan. 18, 2017 Duke passed away. ​Duke was so many "firsts" to us. 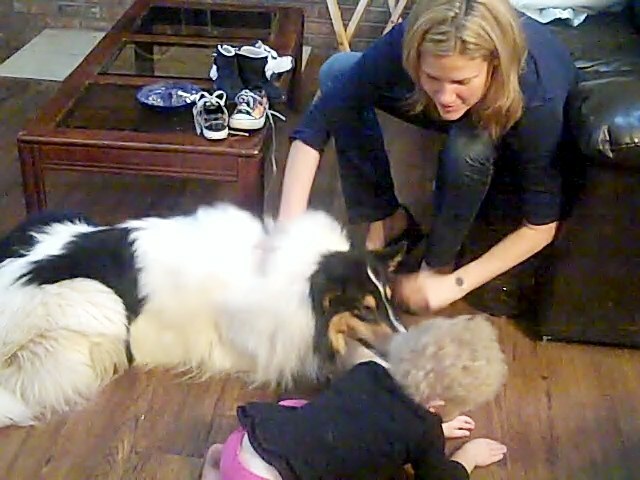 He was first our beloved pet, then our first stud dog, he was there to help our grandson learn to walk while holding onto his fur. 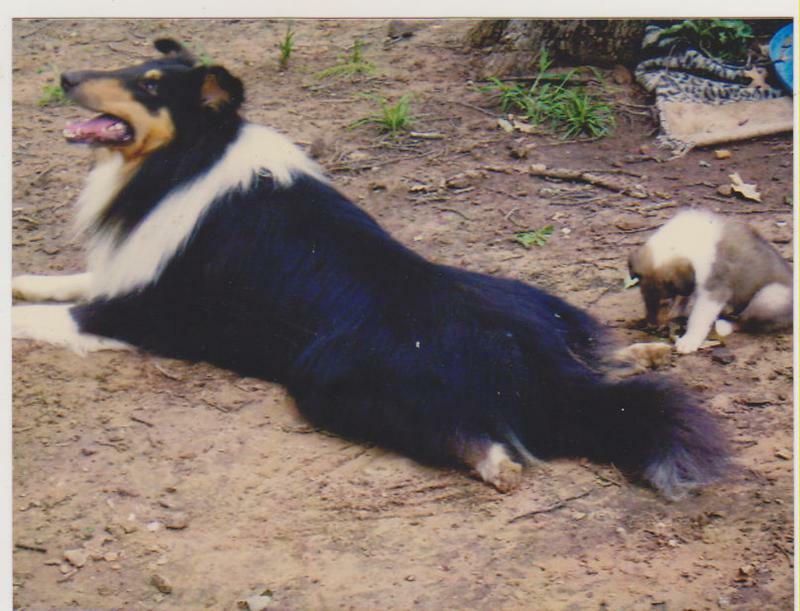 He was the first tri Collie David had ever had. He was always a friend to everyone. 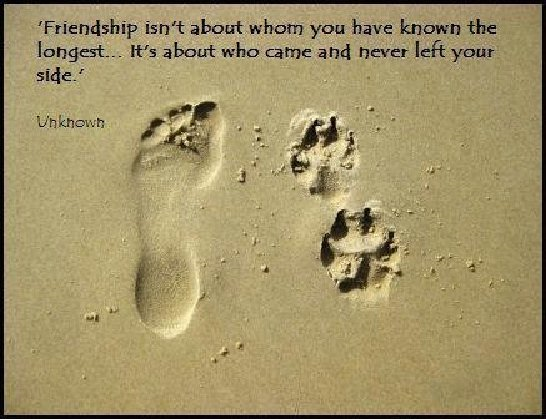 Duke has left a huge hole in our home and is sorely missed. We are expecting a litter of non carrier's and normal eyed puppies this Spring! Buddy has found his forever home! 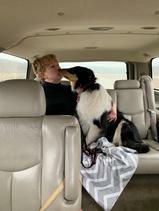 King is now with his forever family! We miss him but are thrilled he has his own people! Dutchess is now in her forever home! ​Jane, we are so happy she has found her home with you, your dobie and greyhound and your horses! Smithy is very happy in his forever home! Sally Jo in her forever home! Velvet went to her forever home today! Sasha with her new mommy, Viki! All our puppies from last year's litter, are in their forever homes! Brandy is in her forever home! Our puppies will not be ready for their new homes until the end of the summer. If you just can't wait, we highly recommend these puppies! Our Captain and Reggie are from these breeders and they are wonderful! All the puppies in this litter are normal eyed and about 50% are non carriers for CEA! We will be happy to help you as much as we can so you can contact us too!